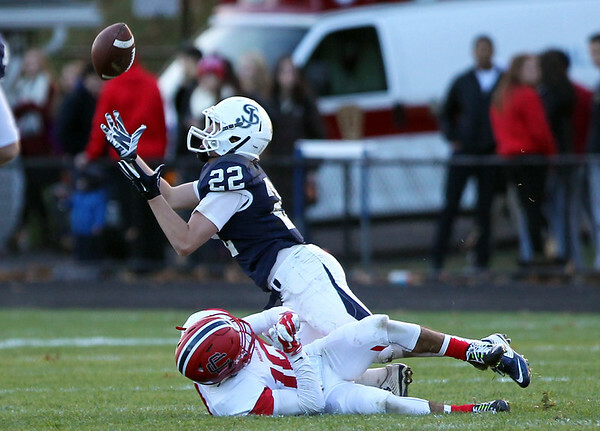 St. John's Prep junior Nathaniel Vance (22) tries to make a diving interception after batting the ball up in the air away from Central Catholic junior Steven Jackson (10) on Saturday afternoon. The Eagles steamrolled the Raiders 42-7 in the D1 North Semifinal at Cronin Field in Danvers. DAVID LE/Staff photo. 11/2/14.